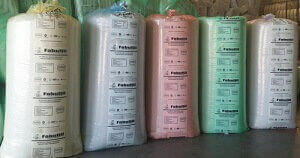 The Fabufill Insulation is also a Polyester type Roof Insulation Material. As with all Polyester Type Insulation materials, this type of Ceiling Insulation has a very long lifespan. 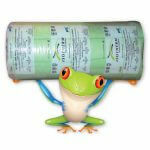 This Insulation is manufactured from plastic bottle pollution. Plastic bottles such as Coke Pepsi etc are (PET) Plastic and as we are well aware this type of pollution will affect the planet as well as the seas for hundreds of years. Therefore converting this pollution into a form of insulation is world-class. 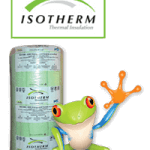 Visit this page for more Roof Insulation Benefits and products. Reducing the impact of the summer heat in the home. Improving the efficiency of the winter chill in the home. Save on electricity as the need for heating and cooling is reduced. 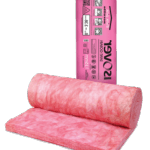 In most homes, the insulation cost can be recovered in two to three years. Thereafter giving many years of energy saving and comfort. Reduces the impact of mold with a more consistent temperature in the home. 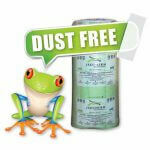 Dust free and Allergy-free insulation. 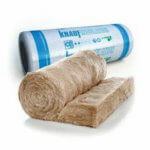 Fabufill Insulation is perfect for installing as Roof Insulation. 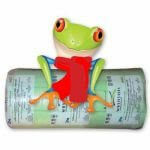 For more info on Roof Insulation read this page to get a better idea on this. The Fabufill will be laid flat on the ceiling between the beams. At all times lifting the electrical wires above the insulation when installing. Fabufill can also be installed in walls. In fact, homes that are built like the American style homes should be insulated in the walls as well. This makes these homes very energy efficient. The insulation can also be installed as underfloor insulation in older homes with wooden floors as well as access space to crawl under the floor. 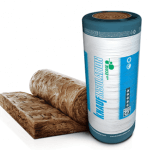 This Roof Insulation material is suitable for most areas however the Fabufill Insulation is not SANS compliant for the Cape region as well as the Johannesburg and Pretoria regions. As you can see by the specifications the insulation is not achieving the R-value 3.70 when installed.